In 1670 a City merchant called James Clitherow bought the Manor of Boston with the original manor house that had been damaged by fire and a later house built by Lady Mary Reade (later Lady Mary Spencer) in 1623. The boundaries of the Manor were the same as those for the Township of New Brentford and the parish of St Lawrence. He demolished the original house and started the extension of the Jacobean house that went on for many years. 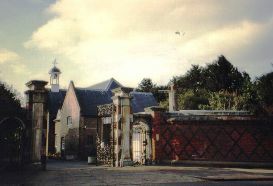 The estate was passed down from father to son through 5 generations until the 1840s when it passed to cousins and was eventually sold in the 1920s. As local Justices and landowners the family had a great influence in the town. These are brief details (drawn up in March 2009) starting with the first James Clitherow’s father. The heir to the property in each generation is highlighted. A guide book published in 1998 is available from the Local History Society www.brentfordandchiswicklhs.org.uk. 2nd wife Mary Campbell daughter of James Campbell (1570-1642) who was Master of the Ironmongers Company twice, Sheriff 1600 and Lord Mayor of London 1635. James 1618-1681. Third wife was Elizabeth Barker. 1624-1638 Deputy Governor of the East India Company. Governor from 1638 when their meetings were held in his house in Leadenhall Street. 1635 Lord Mayor of London. On January 15th 1635 he was knighted at Hampton Court by King Charles I. 11.11.1641. Died and buried St Andrew Undershaft. According to a book called ‘The Richest of the Rich’ by Philip Beresford and William D Rubenstein he was 207 in the list of 250 wealthiest people in Britain since 1066. In 2007 his wealth was the equivalent of £3.107 billion. James’s account books in the London Metropolitan Archives (ACC 1360) show that he loaned money to King Charles II and the Duke of Buckingham and also the purchase of Boston House and the Boston estate after rebuilding his house in the City. 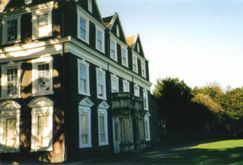 He demolished the original manor house and extended the Jacobean house. His memorial stone from St Lawrence’s Church is in a garden wall in Hampstead. The coat of arms that had originally been above it is in Melbourne, Australia. Christopher (1666-1727) m Rachel Paule. m Rachel Paule (1674-1714) in 1689. She was the daughter of James Paule of Braywick, Berks. They had 15 children and 6 died as infants. (See footnote regarding the family memorial). He was an East India Merchant and his extensive accounts and prayer book etc are in the London Metropolitan Archives (ACC 1360). There is a portrait of him in the house painted by Sir Godfrey Kneller with whom he was a Justice of the Peace for Middlesex. There were a number of family portraits in the house sale in 1922 painted by Kneller. John 1698-1729 His self portrait was sold at auction in 1922. He’s said to have drowned in the lake although no lake is shown on the maps of the period. Nathaniel b 1703 m Sarah Colston (2 daughters Rachel b1729 and Elizabeth b 1737) Nathaniel was a mercer. Henry b1705 was an East India merchant and a prayer in CC’s hand written prayer book in the LMA archives is ‘for dear Hen’s safe arrival’ and the other side of the page ‘thanks for dear Hen’s safe arrival’. Sarah 1734-1783 m Sir William Blackstone who was a Judge and an MP. He wrote Commentaries on English Law on which it’s said the American Constitution is based. James (III) had been at Oxford with him and was his executor. 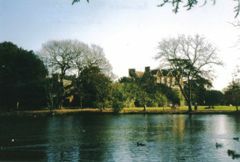 Sir William and Sarah lived at Wallingford. Rachel 1736-1765 m Lovelace Bigg at St Mary’s Church, Ealing in 1764. The ceremony was performed by his father. Rachel died the following year and Lovelace married Althea who was a friend of Jane Austen. Christopher b 1743 m Ann Jodrell (sister of Mrs Childs of Osterley). The property was passed down via this line in 1865. Ann b1744. In 1771 m Rev Richard Bethell of Rise in Yorkshire. (This is a local ‘county family’ name). There are extensive records of the estate and personal expenses, accounts and correspondence at the LMA from this James’s ownership. He also left a very detailed account of Mrs Clitherow’s funeral expenses so that his son would know what was required after he died. He had made a note that he wished to be buried ‘privately in the forenoon with no vain pomp or expense’ and said that he should not be buried in lead ‘so that my dust shall mingle with the common earth the better’. A conversation piece portrait of James and Ann was painted by Arthur Devis with view of the house across the river Brent. James instigated many changes to the house and estate including moving the main doorway to the road (east side) of the house. 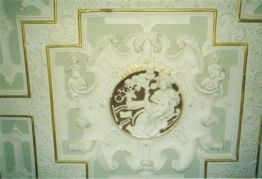 He decorated down the stairs (there are rare 18th century wallpaper remains on the top landing). 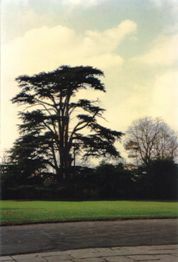 He planted cedar seeds in 1752 and it may be that the large tree on the back lawn dates from this period. He was Chairman of the Brentford Armed Militia during the scares of invasion by Napoleon. Sir Joseph Banks of Spring Grove was a co trustee when James’ brother in law, John Gardner Kemeys lost his money and was sent Jamaica. James helped his nephew to recover his property after his father’s death. Phillipa b 1760 (named after grandmother & aunt) m Benjamin Brooksbank. He would seem to be a descendent of Stamp Brooksbank Governor of the Bank of England 1741-1743. The names Stamp and the addition of Clitherow to names continued with descendents until 20th century. Jane b 1761 m Peter William Baker d 1815. Jane had her portrait painted by Gainsborough. There is a copy from the Frick collection in the house. Her father acted as trustee for her husband when he inherited his property before he was 21. He owned Wyke Green across the river Brent and property in Dorset. Mary 1764-1847 Writer of letters telling of the friendship with King William IV and Queen Adelaide. She stayed on at the house with her sister in law until their deaths in 1847. She, with brother James and his wife became known as ‘the Boston House Trio’ during visits to Court when the Duke of Clarence inherited the throne from his brother, George IV. James (IV) 1766-1841 m Jane Snow d 1847. 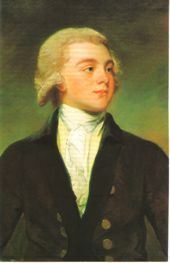 His portrait was painted by George Romney when he was 18 and noted in his father’s expenses as ‘a present to Dr Heath.’ The portrait is now hanging in the house. Martha 1768-1848 m Lord William Seymour in 1798. He was the son of Francis Hertford 1st Marquis of Hertford. 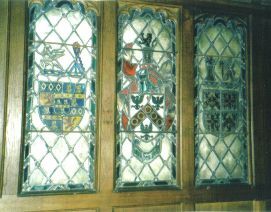 Their children were Edward Seymour 1891-1853 and Capt Henry Seymour 1802-1867. Martha lived at Little Boston, Windmill Road for some time. Sarah b 1769 m Rev E Bullock. Sarah attended the dinner with William IV and sang or played with James at the request of the Queen. James was described as an ‘Able and zealous magistrate for the county’. For 46 years he was Colonel of Royal Westminster Middlesex Militia. He was Chairman of the Middlesex County Lunatic Asylum and a portrait by Henry William Pickersgill that was painted to hang in the Committee room is now owned by London Borough of Hounslow. From 1815-1817 he had John Quincey Adams, the American Representative living as a tenant at Little Boston. (This house at the end of the drive was usually used by members of the family but let for this period. See Brentford & Chiswick Local History Society web site) for articles). James and Jane were friends of the Duke and Duchess of Clarence who later became King William IV and Queen Adelaide. This friendship is chronicled by his sister, Mary in a series of letters including the visit of the King and Queen to dine at Boston House. (See Friends of Boston Manor website). James’s invitation to the Coronation signed by the King hangs in the house. James, Jane & Mary became known as ‘the Boston House Trio’ and the King called Mary ‘Princess Augusta’ after his unmarried sister. m Ann Jodrell 4 May 1776. Emma b 1784 m John Stracey of Sprowston, Norfolk 1819. The property was passed down via this line. m 1.1809 Sarah Christie Burton (divorced); 2. Millicent Pole m 1825. John was an Army officer, politician and colonial administrator in Canada. He entered the army in 1799 as ensign in 3rd Foot Guards which in 1831 became the Scots Fusilier Guards. He served in British North America from 1838. Upper Canada 1841-1842. He would have been the ‘General Clitherow’ at dinner with William IV. He returned to England when he inherited Boston House. There’s a record of his work in the house in LMA. Died at the house. John Christie Clitherow 1810-1865 He served as father’s aide de camp in Canada, was a Colonel in the Coldstream Guards. He died in Brentford. No family. Emma Ann 1802-1902 m Eustace Arkwright 1818-1902 on 21.10.1845 at Rackheath, Norfolk. Eustace was from Bakewell, Derbyshire and a descendent of Richard Arkwright of the cotton spinning Cromford Mill. Her name is in the visitors book for Hotham Hall, East Yorkshire. m Harriet Marjoribanks 1846 ; they were at Highgrove House, Tetbury Gloucestershire in 1861 (census). He added Clitherow to his name in 1865 when he inherited. At the time he was the owner of Hotham Hall, East Yorkshire. By 1871 he was living at Boston House. He served in the First Battalion Scots Fusilier Guards at Inkerman and Balaclava during the Crimean War. His hobby was coach driving and in this circle his nickname was Tom. In the family it seems he was known as ‘EJ’. His death is registered at Howden so he probably died at Hotham and he’s buried at North Cave. His widow lived for a time at Little Boston. m Maria Diana Bourchier 1825-1902 in 1849. He was the Vicar of Buxton and Rector of Oxnead in Norfolk from 1855 to his retirement in 1888 on health grounds. He then went to live at 50, Portland Place and spent summers at Boston House. Eustace William RN m FEV Stansfield. They lived at Boston House for part of each year and Rev William the rest. m Mrs Alice Gurney nee Princep in 1897. Jack, as it seems he was known as in the family served with the Scots Greys for 27 years. He was in the Egyptian Campaign in 1882 and was taken prisoner during the Jameson raid in South Africa. He was in the reserve battalion of the Welsh Guards in WW1 and Governor of the Tower of London. He enjoyed coaching as a hobby like his uncle whose property he inherited. His main residence became Hotham Hall, East Yorkshire where visitors included the Prince of Wales who became Edward VII and the one who became Edward VIII. They both planted trees in the grounds. In 1926 the Prince of Wales stayed at Hotham Hall when he was in Hull to lay the foundation stone of the Ferens Art Gallery. Alice Princep came from a family of ‘beauties’. She, her mother and her aunt were painted by GF Watts who for some years lived with them at Little Holland House. One of her aunts was the photographer Julia Margaret Cameron. Her brother Valentine was a pre-Raphaelite artist and WM Thackeray and Virginia Woolf appear in her family tree. Rachel Gurney 1868-1920 who became Countess of Dudley and drowned while bathing in Camus Bay, Co Galway. Laura m 1893 and became Lady Troubridge d 1946. Both girls were photographed by Julia Margaret Cameron. Henry Edward. 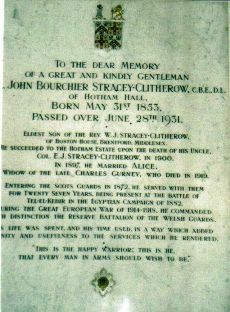 Major 4th Dragoon Guards 1875-1921.
was the son of JB Stracey Clitherow and Alice who married in 1897 when Tom left Eton. He was in the 1st Royal Dragoon Guards and 2nd Life Guards and served in the South Africa Campaign, WW1 and WW2. He was awarded the DSO in 1915. He became Private Secretary to HRH Prince Arthur of Connaught. Juliet b 1906 who married John Henton Carver in 1932. His father had been MP for Holderness. (Children Jan (Odey) and Peter). Ann b 1916 who married Sir Edward William Brooksbank of Menethorpe Hall, Malton in 1943. (This MAY be the Sir Edward Brooksbank descended from Phillipa Clitherow b 1760 who married Benjamin Brooksbank). Alice b 1919 (called after grandmother who d 1919?) m Charles Rome 1945. Married 2. Helen Vivian Maxwell in 1941. May 2015: Thanks to a lady who contacted the website, a memorial to members of the Clitherow family of Boston Manor House has been returned to Brentford; it dates from around 1727. August 2016: A summary of the valuation of Boston House taken around 1909/10 copied from the original Field Book. More information about the valuation exercise.